A pile of tragedies plagued this grande dame of stage and screen throughout her life including a series of three strokes which nearly killed her at the age of 39 and a marriage that ended with her husband and her friend's adulterous betrayal. So one could be forgiven for thinking if the overwhelming adversity informed the world-weariness of her Oscar-winning role as Alma in Hud (1963). But Patricia Neal hadn't yet encountered some of her misfortune when she received kudos for this classic performance. No, by the mid-fifties Neal had gone through a devastating affair with married actor Gary Cooper which began after both costarred in her second film, The Fountainhead (1949). She became pregnant and had an abortion at his urging, leading to a nervous breakdown when their relationship ended while still appearing on screens in the science fiction classic The Day the Earth Stood Still (1951). She spent time on television and stage while still making notable turns in Elia Kazan's A Face in the Crowd (1957) and Blake Edwards' Breakfast at Tiffany's (1961). Still, Neal's role in Hud shines brightest for me. A sense of complete desolation and sadness haunts Alma's half-masted eyes, in retrospect a translation of the devastating grief Neal endured with the death of one child a year earlier, and a near-fatal injury to another just the year before that. Then at the height of her career, three strokes put her in a coma while pregnant with her fifth child from then-husband, author Roald Dahl. She credits him for her recovery, but by all accounts his greatest contribution was his icy distance, forcing her to fend for herself when she couldn't dress herself or suffered through episodes of aphasia. They would divorce in the eighties after Neal discovered he had been having an affair with a longtime friend. Neal was nominated for an Academy Award once more, for her comeback film The Subject Was Roses (1968). The resilient actress continued her career on television and film, appearing only sparingly in the last decade. She died yesterday at the age of 84. Read more about Patricia Neal at Self-Styled Siren and The Sheila Variations. 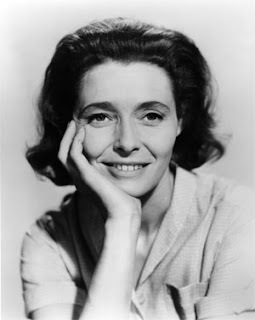 Patricia Neal certainly deserves this wonderful piece Tony, as she was one of the last of the titans. I had the great fortune of meeting her two years ago at a screening of THE DAY THE EARTH STOOD STILL at the Loews Jersey City movie palace, where she appeared to speak before and after the screening with Film Professor Foster Hirsch (a noted film noir writer) at her side. Neal spoke haltingly at this appearance, though she was engaging in her funny asides. Her long marriage to Roald Dahl was marked by mutual infidelities, but all things considered, it produced a large family and some creative output from both parties. A very great actress with a number of unforgettable performances you note here.